Online ordering menu for Pazzo Pizzeria. 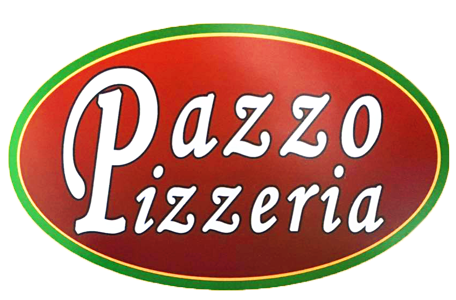 Welcome to Pazzo Pizzeria! Gourmet Pizza requires the highest quality ingredients – and a passionate dedication to the art and craft of pizza making. We make our crusts from scratch, several times each day – and we make them tastier (and healthier), with sea salt and olive oil. Handcrafted to order, we layer on generous portions of lean, choice meats, fresh-cut vegetables and your pick of dozens of fresh toppings. We top each gourmet masterpiece with 100% mozzarella, freshly shredded in-house and then baked to delicious, melted perfection. We are located right next to the cross of W 230th St and Hawthorne Blvb...just a few steps from La Primera North Pre-School. Order online for delivery and carryout!